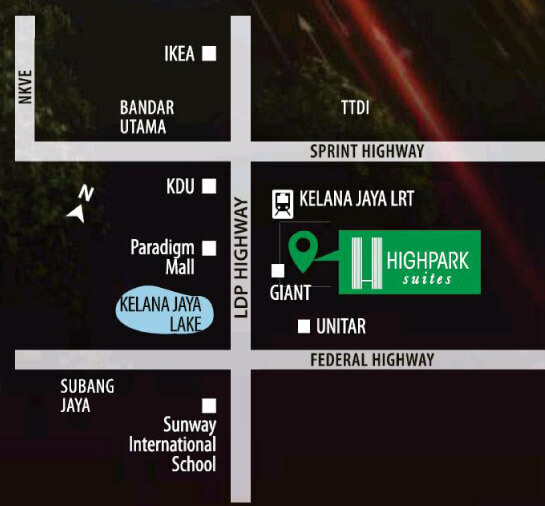 Garuda Land offers the first green high-rise building in Kelana Jaya, with the name of HighPark Suites and the price range between RM 400k to RM 1 Million. 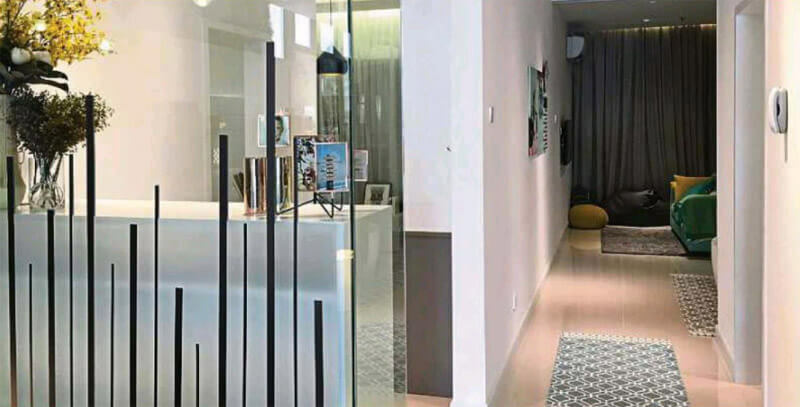 Innovative concept of wellness park living, with the sustainable property development by incorporating green technologies and greenery elements, is integrating into HighPark Suites Kelana Jaya. 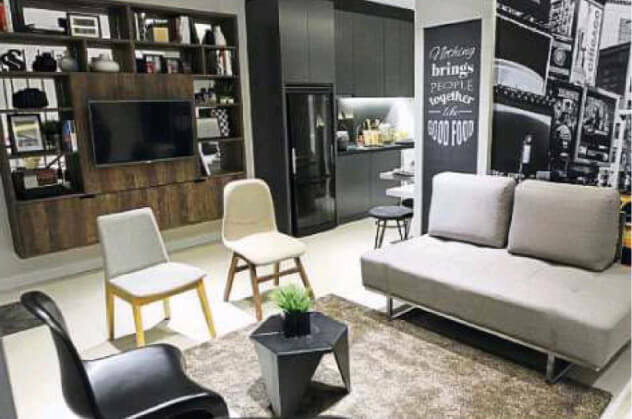 Situated strategically in Kelana Jaya which the heart of Petaling Jaya, Selangor, HighPark Suites is the first GBI (Green Building Index) certified development in Kelana Jaya, with a provisional certified Gold rating of 79. HighPark Suites is the freehold development which spread across a 5 acre plot of land. Separated into 2 phases development with the 1st phase is the South Tower and the next 2nd one will be North Tower. Each tower comprises 512 residential units with 25 units / floor. There are also 43 units of dedicated retail arcades. 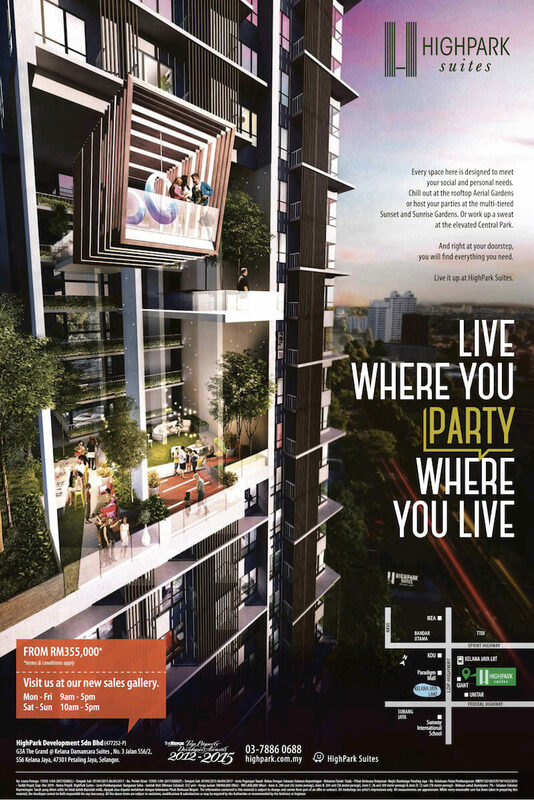 Various layout are available for consumer / buyer to choose from which are Studio Type with size option: 452 sq ft built-up, the 603 sq ft suites offer four different layouts, including a dualkey type, while duplex units come with the option of 743 sq ft or 840 sq ft.
Facilities offered @ HighPark Suites Kelana Jaya such us four-acre green podium (approximately) with the facilities include pedestrian walkway with cycling track, 1km jogging path, 50m Olympic length swimming pool, Jacuzzi, aquaplay, aquagym, outdoor gym, reflexology path, putting green, children playground, pool lounge and multipurpose court. Other exclusive facilities are barbecue pit, herbs garden, vertical green wall, Sky Court, Sky Deck, Sky Pavilion and Roof Aerial Garden. 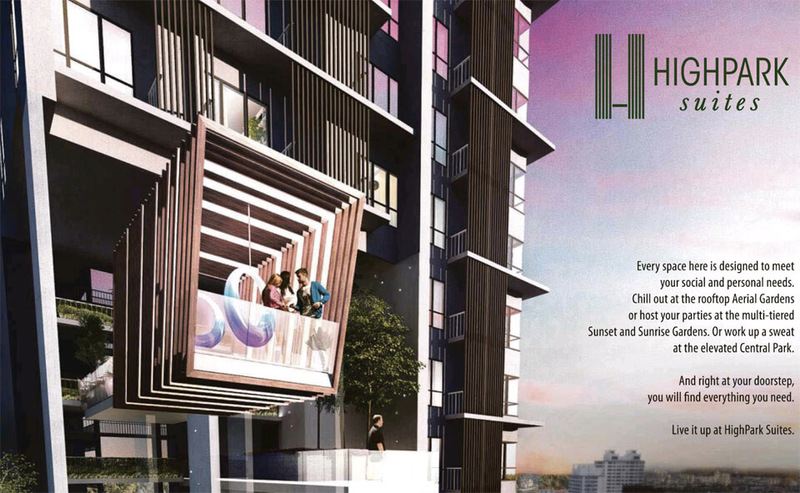 Another cervices that will be provided include covered walkway and feeder service to Kelana Jaya LRT station. Tarikh Projek Siap: Mei 2019 . Jenis A: 260 unit (42 meter persegi). Jenis B: 204 unit (56 meter persegi), Jenis C: 36 unit (69 meter persegi) & Jenis D: 12 unit (78 meter persegi). Sekatan-Sekatan Kepentingan: Tanah yang diberi milik ini tidak boleh dipindah milik, dipajak atau digadai melainkan dengan kbenaran Pihak Berkuasa Negeri. Shopping mails: Paradigm Mall, Tropicana City Mall, IKEA, The Curve, One Utama. Medical centres : Kelana Medical Centre, Subangjaya Medical Centre, Sunway Medical Centre. Educational centres: Universiti Tun Abdul Razak (UNITAR), Lincoln University College, SMK Kelanajaya, Nobel International School. Golf courses: Subang Golf Club, Tropicana Golf Club, Glenmaries Golf Club. Taman Bahagia LRT station (3.6km). Disclaimer: The information contained in this material is subject to change and cannot form part of an offer or contract. All renderings are artist’s impressions only. All measurements are approximate While every reasonable care has been taken in preparing this material, the developer and the mpropertylaunch.com cannot be held responsible for any inaccuracy. All the above items are subject to variations, modifications & substitutions as may be required by the Authorities or recommended by the Architect or Engineer.